Gorchkhanov Adam Ibragimovich, 1976. kidnapped in February, 9, 2005. 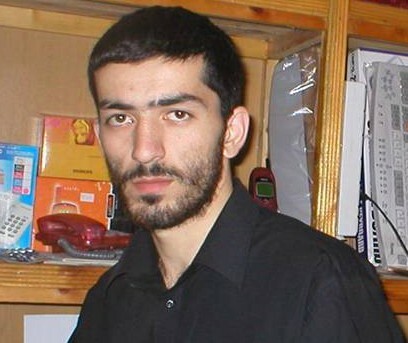 Adam Gorchkhanov was kidnapped in February,9,2005,near Nazranovsky krug(crossing of the roads) and trading house «21st century» in Nazran,Ingushetiya. Adam Gorchkhanov was kidnapped by camouflaged men. The persons were in two autos having no licence number plates. The kidnapping was watched by many people,there is a bus- stop at the place. Adam Gorchkhanov’s relatives know nothing about his location but they are sure Adam was kidnapped by russian secret service agents to make his elder brother,Ilez Gorchkhanov surrender (Ilez Gorchkhanov was searched by federal power structures as an insurgent,killed during attacking at the power structures in Nalchik). Adam Gorchkhanov is famous programmist and a specialist in computer repairing in Ingushetiya. He is married,has two children.